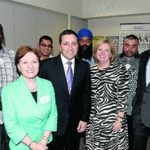 Victoria’s new Multicultural Affairs Minister Matthew Guy has told The News visiting Shepparton was on the top of his to-do list. 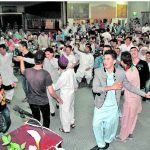 More than 600 people, mainly from Shepparton’s Afghan community, gathered to celebrate Nowruz — the Persian New Year — on Saturday evening. “You can do it” is the message behind the Regional Youth Leadership and Participation Project.